It’s already December! 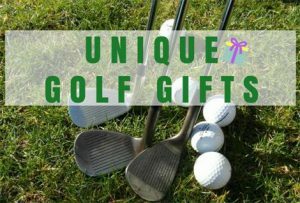 And we know that you might be still struggling with choosing Good Christmas Presents for Mom. “What suits my mom the most?” If you have this question in your head, READ ON! 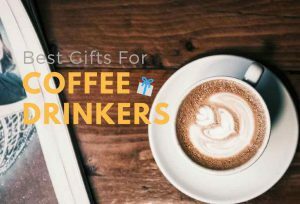 Here we’ve got the top 25 gifts for all different reasons, from Luxury Earrings to Comfy Silk Pajamas, Useful Kitchen Gadgets, Robotic Vacuum Cleaner, Scented Candles, Therapy Mat, and Beautiful Watch Set. 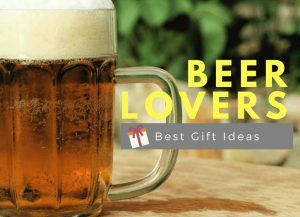 We are sure there is one gift on this list that you find it suits your beloved mommy most! What could be better than wearing a pair of warm slippers while enjoying the festive season with family at her comfy zone – HOME. 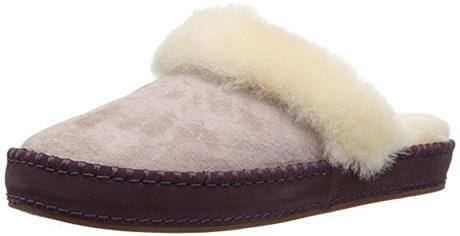 Buy her a pair to give her the warmth in this winter. It’s 100% authentically made from Australia. 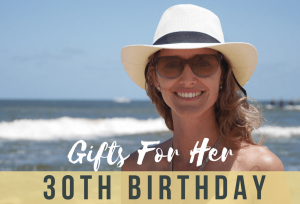 It’s not just a simple makeup gift set with eyeshadow palettes and lipstick, it cares about your mother’s skin care as well. 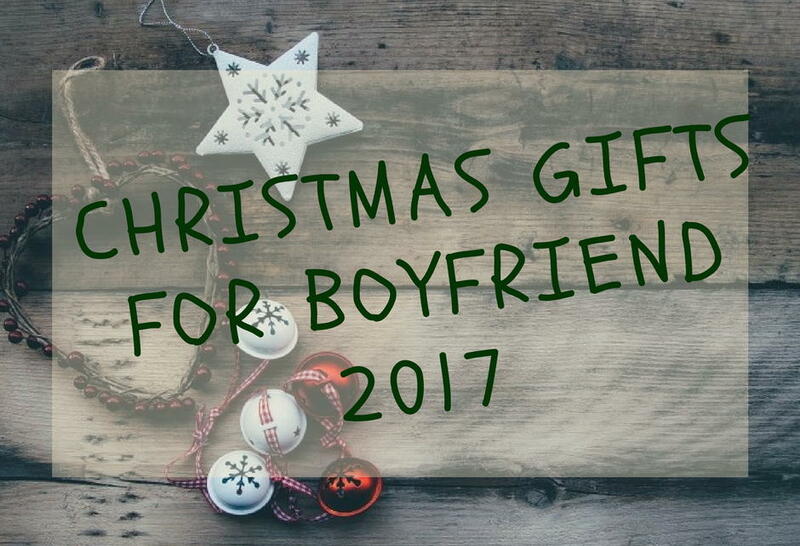 What better Christmas gifts for mom from daughter could it be! 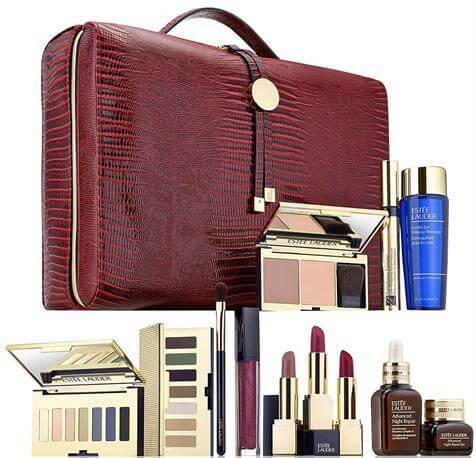 It also comes with a train case with a beautiful Christmas red on. Mommy is never gonna forget this gift! As a mother, there are always a million things going on around her, and all sort of cleaning is probably half million things bothering her. 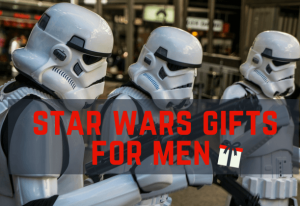 What about you buy her a Robotic Vacuum Cleaner to help your mother out a bit. 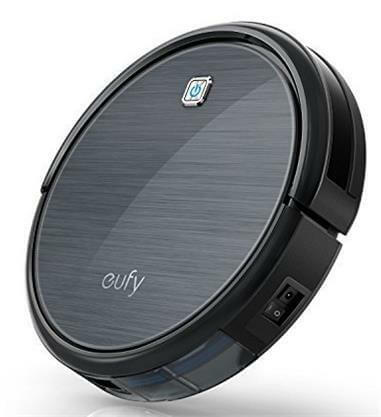 It’s designed for both hard floor and thin carpet. If there is a pet at home, there is nothing more suitable you could find for you mom. Go get one now! When is the last time your mommy get relaxed? Ask your mother this question, and she might tell you that she did not remember. Then what are you still struggling with! 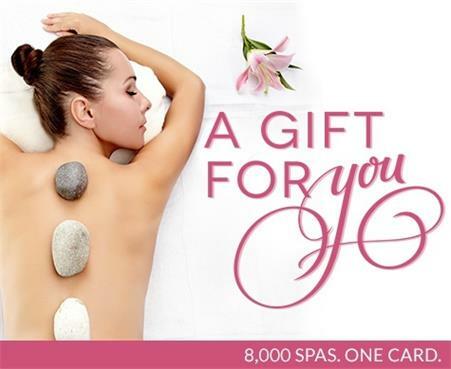 A Spa Gift Card is exactly what she needs, and the best gift for the mom who has everything! There are over 9,000 locations all over the US, and services from mani/ pedi’s care, facials, massages to salons (It’s really from tiptoe to head). 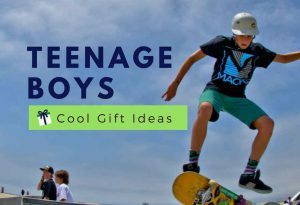 Looking for unique gifts for mom? 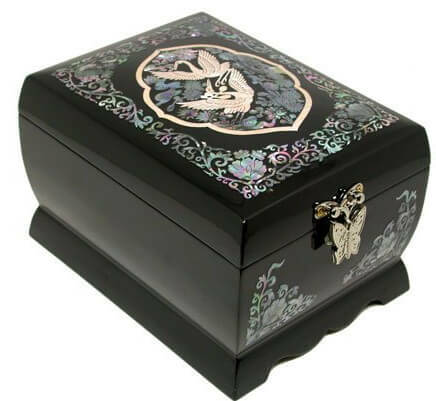 This absolutely pretty music jewelry box is gonna be a surprise for your mom. Every single jewelry box is individually handcrafted with Traditional Korean mother of pearl inlay technique that could have lasted for 1,000 years. But don’t forget to tell her your love for her is longer than this. If you think your mom already have everything so you can’t find her a gift. You are so wrong! 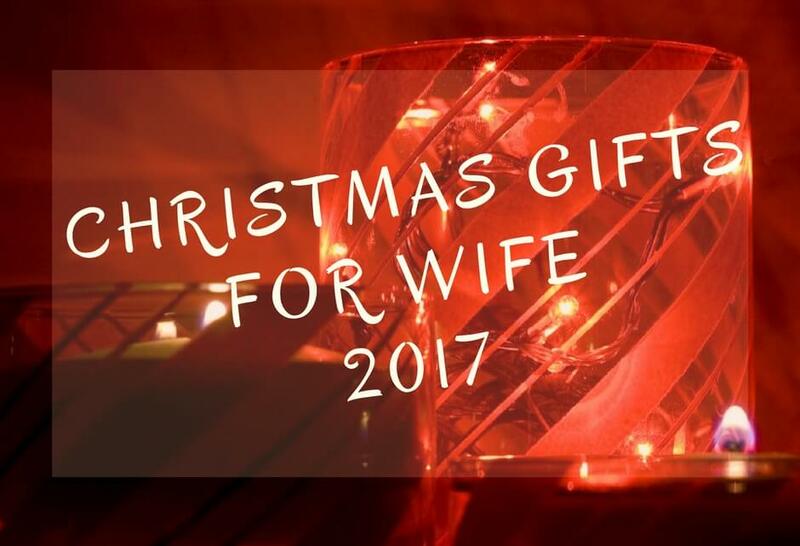 Here is a perfect Christmas gift for hard to buy for moms. 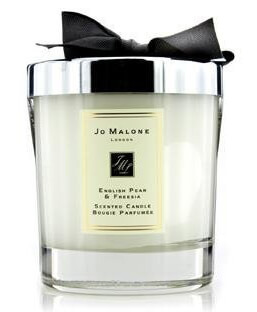 I present you the Jo Malone English Pear & Freesia Home Candle. Surprise her with a sensuous freshness of just-ripe pears, wrapped in a bouquet of white freesias. Simply light this up, it will transform the whole atmosphere with luxury, opulence, and elegance. Luminous and sparkling! 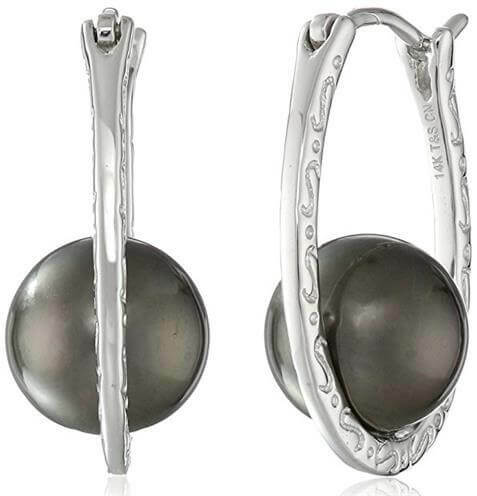 This dark pearls and engraving 14K White Gold hoop earrings are a perfect accessory for your perfectly beautiful mom. Imagine your mom is wearing in this 100% silk pajamas. 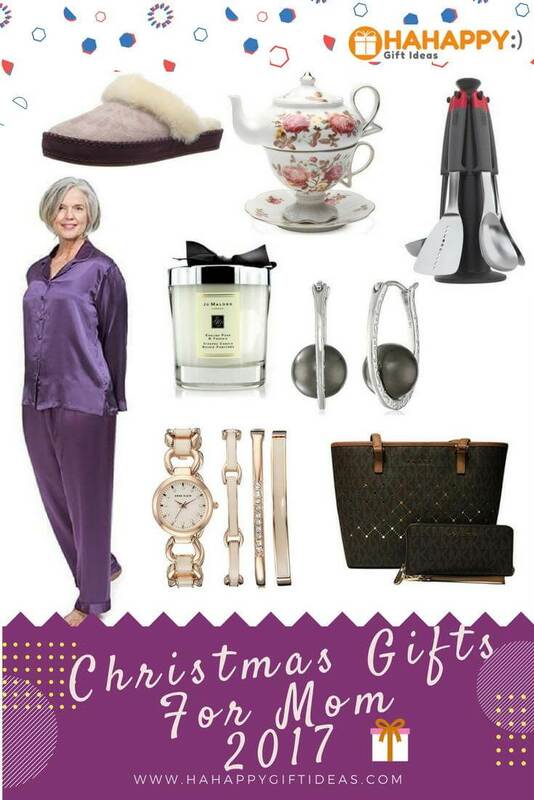 Understated, elegant and extremely comfortable nightwear make her every night in great comfy. The Beautibilss and Perla Naturale silk robes come in many of the same colors to make a luxury silk set with these amazing pajamas. 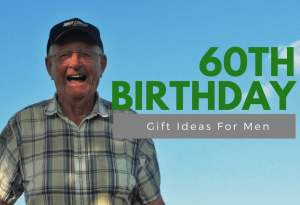 Other than elegant jewelry or fashionable clothing, why can’t it be a simple gift, a thoughtful gift for her health. 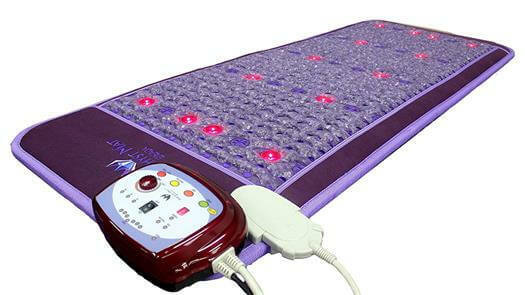 This Far Infrared Amethyst Mat improves blood circulation and immune system. It is great for wellness and relaxation, relieves pain and stress. 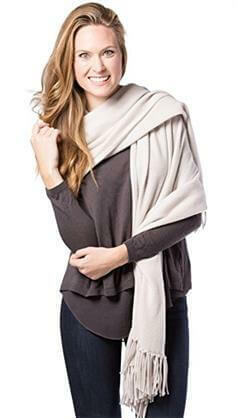 A high-quality shawl made from 100% pure grade A cashmere. 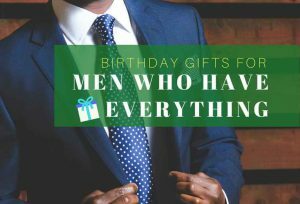 The variety of colors, luxurious design, and the most important, a soft touch on her skin making it one of the most desirable gifts in this festive season. It already comes wrapped in a gorgeous custom Black Label Gift Box too. 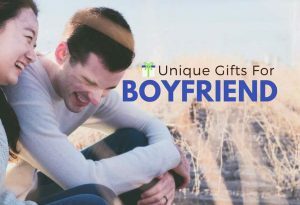 Spread the gift of warmth during the cold and bitter months of the year! Planning on a trip out of town in this holiday? A Michael Kors Travel Tote and a Continental Wallet Wristlet, ain’t they perfect for her to carry around. Signature MK details in perforated leather withhold metal foil. P.S. Don’t think she has enough bags and wallets, we NEVER have enough bag and wallet. 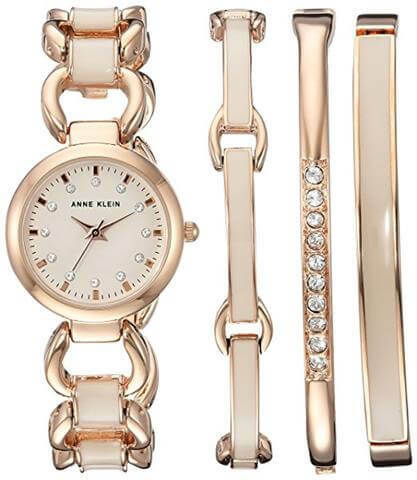 A watch set from Anne Klein could never go wrong. Rose gold-tone bangle set with 10 clear Swarovski crystals. This is a stunning masterpiece on her whist put an extra joy on this holiday. Sometimes, a cup of nice coffee, reading a book in bed with a nice warm blanket is just what she wants on an afternoon. 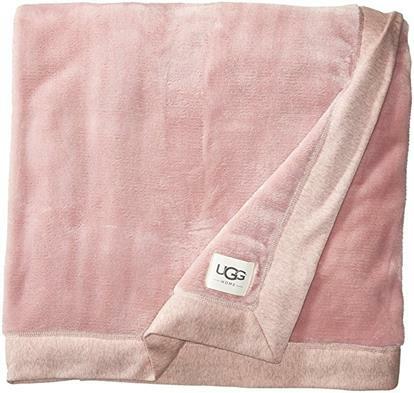 Regarding blanket, you know UGG is the best. Christmas is not only a day of Jesus’s Birthday, but it’s also a day gathering with family. 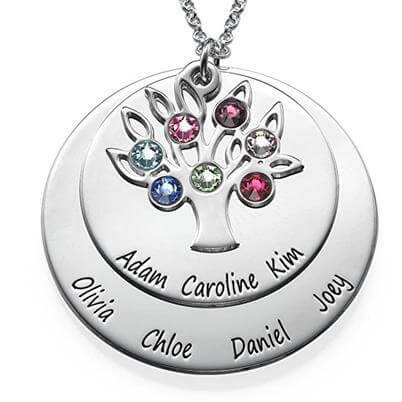 A Personalized Family Tree Jewelry Necklace is perfectly suited for the wife has handled every single task in your house and the mom who raised you up. 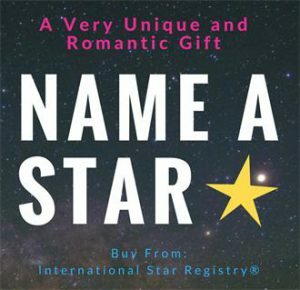 This is a unique personalized gift for mom this festive season. Just because she didn’t ask for it doesn’t mean she doesn’t want it! 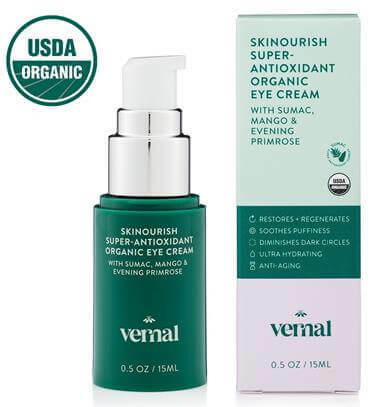 Packed with Vitamin C and a super antioxidant formula, this eye cream will minimize the dark circles, shadows, and puffiness while brightening and illuminating her under eye area. 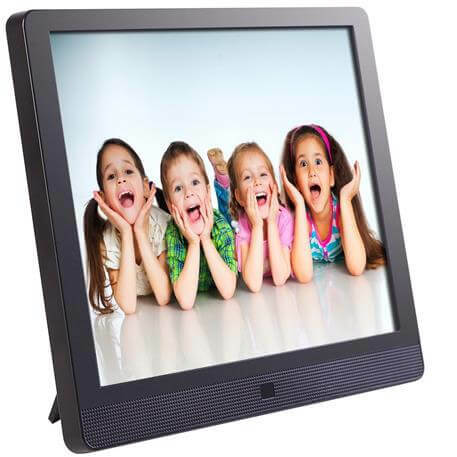 This will remind your mom, your entire family what are the happy family she has. There is a 4GB internal memory to hold 15,000 photos in it. It’ll remind her of not only the family but also some of the memories you have shared over the years. 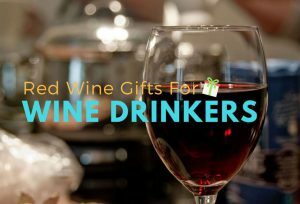 Need some good gifts for your mom who love to cook? Making 3 meals a day is not an easy job. 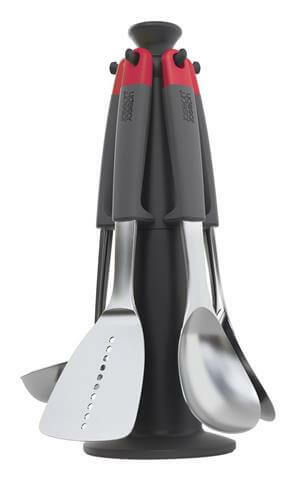 If you want to help, but you don’t have the actual skill, it will be an alternative to buy your mom this Joseph Joseph’s Elevate kitchen utensils. 5-piece utensil set includes a solid spoon, slotted spoon, ladle, slotted turner, spaghetti server, and a carousel storage stand. An extra warmth in this winter? Absolutely YES! 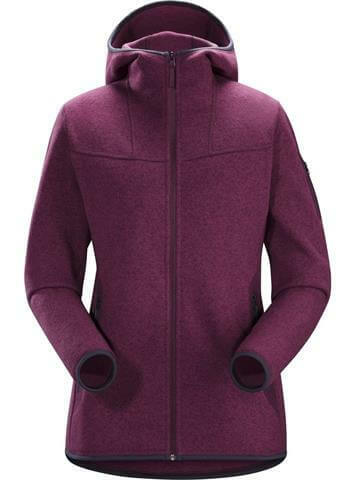 Spotted, this Hooded Fleece Jacket hugs the head without the use of drawcords for added warmth. How amazing it is! 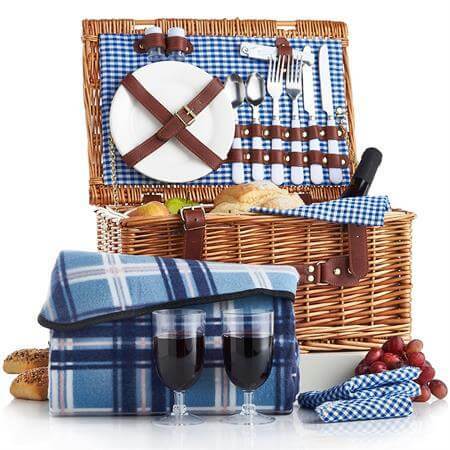 This VonShef Deluxe 2 Person Picnic Basket might have just reminded you the beautiful picnic time with your mom. Why not more picnic? Get a basket and go with mama! 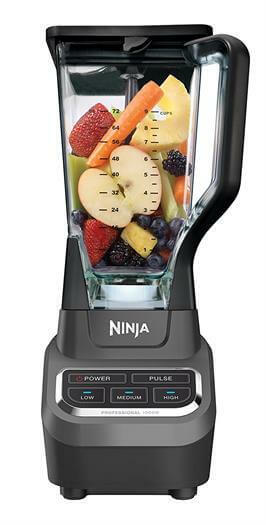 Ninja Professional Blender is one of the best blenders you could get for your mom. It makes drinks and smoothies in seconds with total crushing technology, which means ice is also easy crashed! Give your mom the best sleep she could ever have. 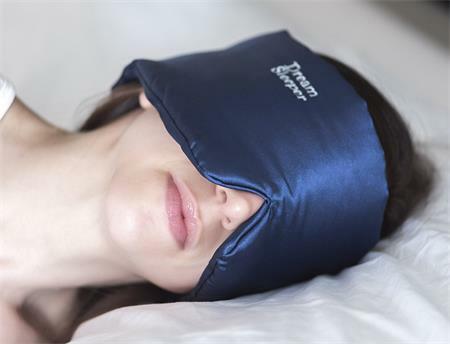 Dream Sleeper Mask blocks out 100% of light while she sleeps. Even if she has allergies, this is the mask for her! This a classy teapot every mom would have dreamed of. 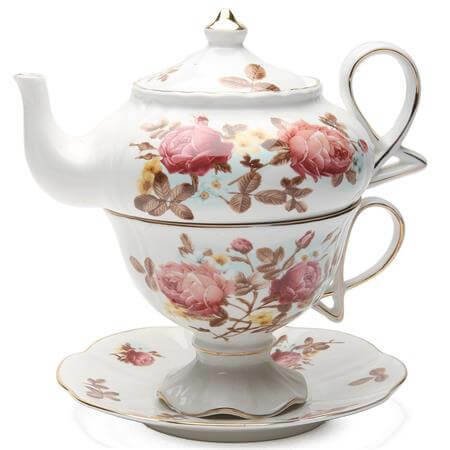 A fragrant tea with the teapot set is an enjoyment in afternoon tea time. It features fine porcelain decoration, and it’s dishwasher safe. 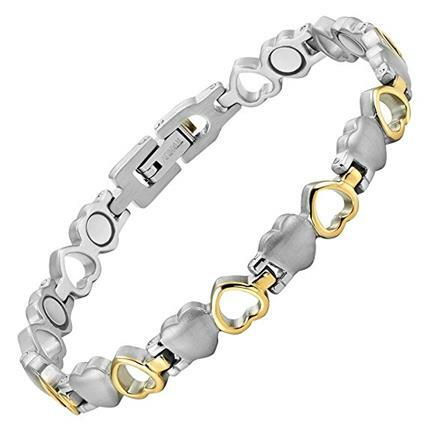 This is not a pretty regular bracelet, but a Titanium Magnetic Therapy Bracelet. And don’t worry about the size. A free size adjusting tool included with this bracelet allowing your mom to easily adjust the size of the bracelet at home, so it always fits her wrist perfectly. 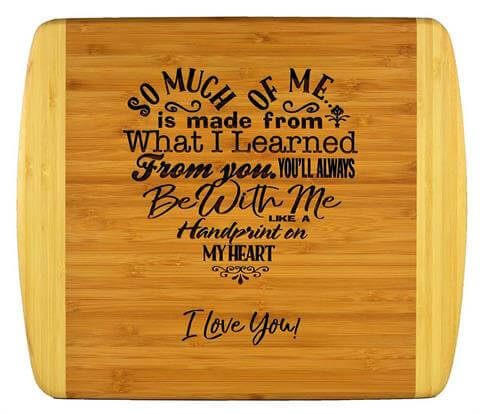 This bamboo cutting board with a specially designed mom words of a love poem is just perfect to send your beloved mom your love message. If your mom is happened to be a fan of Beatles, one of the greatest band in British, you won’t be able to find a better Christmas gift than this! 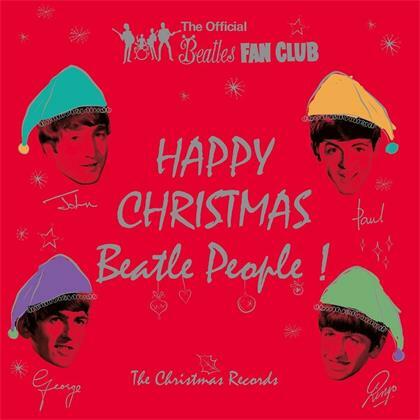 Happy Christmas Beatles People!